Abraham Abulafia (1240-1291) is the most important figure in the prophetic Kabbalah, and among the most fascinating Kabbalists in our historical record. From what we know of his biography — based on his own accounts, and those of outside sources — he lived a very unusual life for a Kabbalist. Most of the important Kabbalists led relatively conventional lives: they had families, and roots in their respective communities. Some, such as Rabbi Joseph Caro, were famous rabbis and legal authorities. Not Abulafia. Although the first part of his life did resemble these more conventional models, he eventually became an itinerant mystic, traveling from town to town, attracting students, and leading a mystical life apart from communal and familial obligations. Abulafia’s life may not seem so strange for a mystic. After all, aren’t mystics supposed to be long-bearded wandering ascetics, focused only on the higher realms? If you’ve read through this site in a linear way, you know by now that, while that model may be common in other traditions, it is in conflict with some of the Kabbalah’s core ideas. Traditional Jewish life is focused around the observance of the commandments, and observance of the commandments, in turn, requires a familial and communal life. Marriage and sexuality are not necessary evils, or compromises with humanity’s animal nature: they stem from the very first commandment in the Torah, to be fruitful and multiply. Community, likewise, is not merely an economic necessity or social desire; it is necessary in order to fulfill many of the Torah’s laws, as interpreted in the rabbinic tradition, from prayer quorums to ethical rules. Consequently, we find very few examples of the “lone mystic” in the Kabbalistic literature. Abulafia, though, comes fairly close. In his most prolific period, he was living the life of a wandering mystic and teacher. It’s possible that this lifestyle accounts for how widespread Abulafia’s teachings became, although it’s also true that his unorthodox ways and ecstatic mystical practices angered more than a few rabbis in the communities he visited. It’s easy to see why Abulafia’s ideas would be perceived as threatening if we take a step back to look at the “prophetic Kabbalah” in the context of a received religious tradition. For most traditional Jews, including those today, revelation is a very limited occurrence. It takes place in the Torah, and is given to the prophets of the Bible — but prophecy stopped over two thousand years ago, and since then, our task has been to debate and discuss the meanings of the already-received revelation. And yet, Abulafia teaches that, by using his methods of letter permutation, meditation, and free association, you can receive prophecy today. This can be a radically destabilizing notion. What if your prophecy contradicts the revealed word of God? What if the Active Intellect reveals to you something which goes against halacha, or conventional interpretations of Scripture? If prophecy is truly available to everyone, then the authority of those with privileged access to the Divine by means of the textual tradition is undermined. In Abulafia’s own case, sometimes he was careful on these points, and other times strikingly bold. Reading his texts, one quickly notices that the most radical and destabilizing ideas are often couched in abstruse gematria or mystical allegory. Often, like Maimonides, Abulafia will not quite say what he means directly, purposely leaving what would today be called a “constructive ambiguity.” Hameivin yavin; he who understands, understands. Other times, however, Abulafia was explicit, bold, and seemingly fearless. Abulafia believed himself to be a messianic figure — not quite the redeemer of Israel, but someone who would prepare the way and who was revealing important new secrets of Creation. Abulafia was not a modest man, when it came to these aspects of his personality. The most colorful story around his messianic self-image is when Abulafia went to Rome to convert the Pope Nicholas II in 1280. The pope sought “to burn the fanatic as soon as he arrived” — but on August 22, just as Abulafia arrived, the pope himself suffered a crippling stroke. Abulafia was a prolific writer, fluent in the languages of philosophy, Kabbalah, and theology — though it is not known how well-versed he was in the traditional learning of the Talmud and later authorities. Because of his prodigious output, and the unusual circumstances of his life, there is a tendency among some scholars to over-biographize the prophetic Kabbalah, as if it were essentially just the story of Abulafia’s life and teachings. There is a grain of truth to this — Abulafia dominates the prophetic Kabbalah the way no one, not even the Ari or Moshe de Leon or the legendary Shimon Bar Yochai, dominates theosophical Kabbalah. But I think it wiser to bear in mind Abulafia’s fascinating life story more as an illustration of the features of the prophetic Kabbalah as it relates to theory and practice. Abulafia’s relatively non-attached life mirrors the non-attached nature of his Kabbalistic practice; though he and others might disagree, it’s easy to do the meditation work without keeping the mitzvot. To live a theosophical Kabbalistic life requires the engagement with kiddush cups and wine, linen and wool; these are the symbols for the Kabbalistic imagination. But to lead a prophetic life requires a clean, well-lighted space where one can permute the letters of the Hebrew alphabet. Relatedly, there is less of the integrative body-mind discourse in Abulafia than one finds in theosophical works. Abulafia was as close to a renunciate as one is likely to find in the Jewish world. His views on the body, sexuality, and other matters of the flesh is closer to contemporary Christian thinking than the richly embodied world of the theosophical Kabbalah. For better and for worse, he was focused on the mind, and the mind’s ability to connect us to spirit. 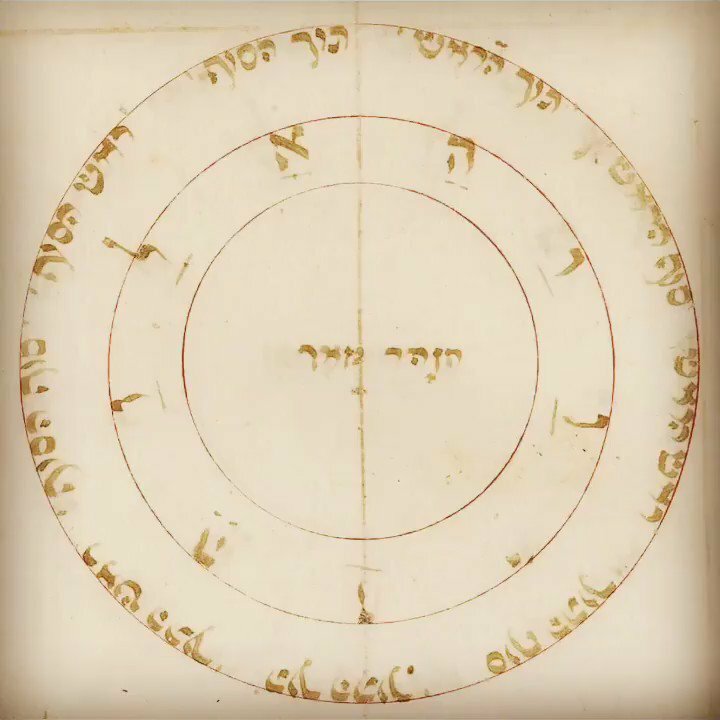 In the prophetic Kabbalah, as in Abulafia’s life, we find a closer analogue to what we might expect from “mysticism” than anywhere else in the literature.